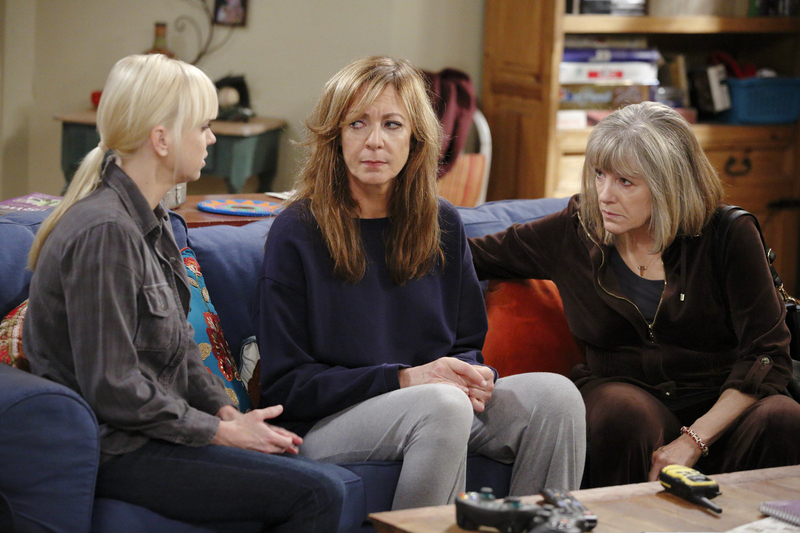 Christy (Anna Faris, left) and Marjorie (Mimi Kennedy, right) try to comfort Bonnie (Allison Janney, center) after an unexpected death rocks the Plunkett household, on MOM, Thursday, January 22 (8:30-9:00 PM, ET/PT) on the CBS Television Network. Photo: Trae Patton/Warner Bros. Entertainment Inc. © 2014 WBEI. All rights reserved.